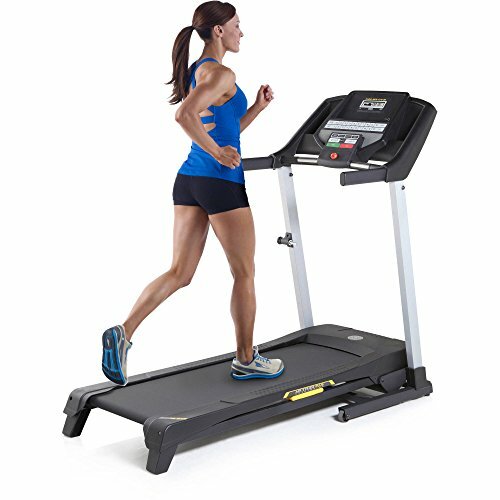 Who is the Gold’s Gym 430i Treadmill best suited for? Anyone looking to improve their fitness in a more casual sense. I say casual because I quickly realized this model can’t keep up with the requirements of a serious runner. The treadmill may be more prone to wearing down faster after running for prolonged periods of time. Having said that,the price of this treadmill and the numerous technological features it has to offer makes it well worthwhile for the average person trying to get fitter from home. Cardio is an essential part of my fitness routine, and I’ve delved deep into analyzing all the features and reviews of the 430i model. I was curious to find out what it had to offer me as a cardio enthusiast. 1 So, how does it fare? 4 What Kind of Reviews Is the 430i Treadmill Receiving? 12 Weight Capacity: It Can Take a Lot Of Weight! The affordable price and enormous range of beneficial fitness features are what stood out to me the most. The everyday person wanting to stay active, lose weight, and get fitter will see some fantastic results using this treadmill. On the other hand, those wanting a treadmill to run on for a lengthy duration of time would end up a little disappointed. While the features work well, the build of the treadmill may not be up to par for the likes of athletes. Best for people wanting to walk and jog to lose weight and get fitter. While you can run on it, don’t expect to be able to do anything too crazy without encountering some issues. Serious runners and athletes would be better off investing more money into a treadmill that’s built to withstand running. Over the years, I’ve developed a great passion for fitness and it has lead me to try out a huge variety of treadmills. Some of them have been sturdy and a lot of fun to use. Others have left me wondering, why should I even use a treadmill? I’m better off jogging outside! What Kind of Reviews Is the 430i Treadmill Receiving? The gold’s Gym 430i Treadmill provides an upgraded workout experience as a result of the technological features available. iFit tech is built in to the treadmill and it comes with a total of 16 workout programs. Once you choose a program, the treadmill automatically alters the speed and incline for you. You can easily hook up a tablet to the treadmill and use the iFit app to keep track of your progress. It automatically saves analytics to help you see areas in your fitness you need to improve on. What many people don’t realize is that you have to purchase this app to use these features. If you want something to look at other than a wall while exercising, you’ll love the routes on offer. They’re displayed on the large LCD screen and come directly from Google Maps. You can also keep yourself motivated by listening to music. Simply plug a device into the 3.5mm auxiliary jack and music plays from the built-in 2.5” speakers. Whether you want to walk, jog, or run, the 430i treadmill works well to help you reach your fitness goals. It’s able to do so with the help of a 2.5 HP G-force motor. This motor works effectively to increase your speed at the same rate as many of the treadmills you find at commercial gyms. While we appreciate the features that automatically choose the incline and speed based on the workout program you pick, it’s also good to know you can go at your own pace too. This can be achieved easily by selecting the manual mode. You can choose the exact incline level and speed that’s perfect for you. Burning more calories is simpler than ever with the QuickSelect incline controls. You can increase the incline from 0-10% with a touch of a button. The same can be done for the speed. You use the QuickSelect speed control button to run up to a maximum of 10 mph. You can easily keep an eye on your heart rate while on this treadmill, which is awesome for people who have a targeted range they want to be within. Simply hold onto the dual-grip heart rate monitors. You’ll get your heart rate within seconds. Weight Capacity: It Can Take a Lot Of Weight! We were surprised how this treadmill has a more impressive weight capacity than many other treadmills available. Many of them have a maximum weight limit of 250 lb. 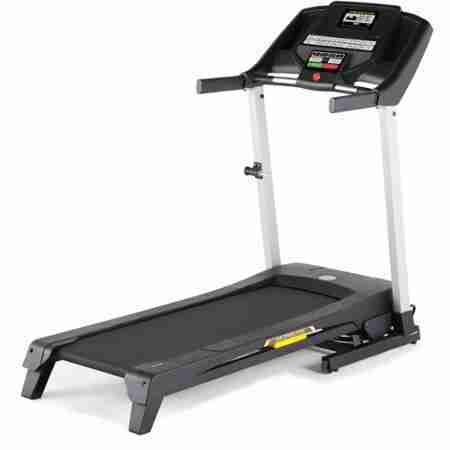 Gold’s Gym 430i treadmill can take up to 300 lbs. 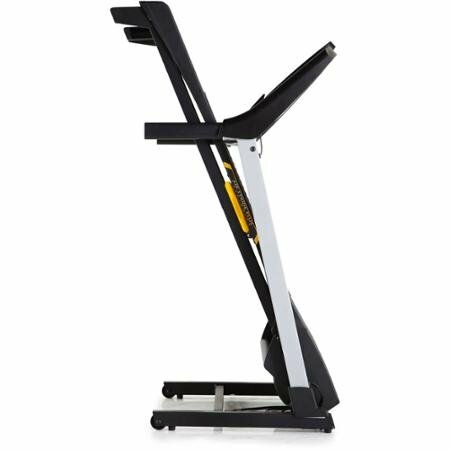 The Gold’s Gym 430i treadmill may cause more impact on joints than you may have expected. It only uses Airstride Plus Cushioning, which we have found doesn’t cut it compared to other treadmills that have shock absorbing systems. This won’t be a big issue for most people. But those with hip and knee problems will notice the affects on their joints a lot more. Some people may feel a little unstable, especially when running, due to how narrow this treadmill is. It’s 16” wide which is narrower in comparison to the more expensive treadmills. If the width of treadmills is an aspect you find important, spending extra on the larger treadmills may be a better option. But if the 16” width works for you, then you’ll be glad on how much you saved! The 430i treadmill takes up very little space when it’s not in use. This is thanks to the SpaceSave design that lets you easily fold up the treadmill once you’re done with it. As a result, a whole lot less floor space is taken up – it’s an especially great benefit for those who live in smaller places. We also liked how there are wheels on the bottom for when you fold it up. Since it weighs almost 200 lbs, this makes moving the treadmill around so much easier. Rather than following complicated instructions on setting up your treadmill and using it hours later, the out-of-the-box-assembly makes things a lot simpler. The treadmill comes completely put together, apart from six hex screws. The package comes with a wrench and instructions on where to fit in the screws. As a result, you could be using your treadmill within minutes. You may, however, need an extra person to help you take it out of the box and place it down as it’s heavy. Some customers have unfortunately noticed the treadmill belt comes loose easily. After looking through a ton of reviews, I’ve found that in these circumstances, the belt either comes loose on delivery, or becomes off-centered after running. It also became apparent that users feel the belt on the treadmill becomes wobblier the faster they run on it. Other people have also noticed that the belt makes a noise every time it comes around the back curve. This may not bother some, but if you think it might, picking the previous 420 model of the Gold’s Gym treadmills would be your best choice as tt ran silently. Unfortunately, the 430i treadmill doesn’t come with a cup holder or anything to hold a water bottle. We found this to be a bit of an issue for those longer workouts of 45 minutes or more. So, if you’re doing some intense exercise, be sure to stay thoroughly hydrated before getting on the treadmill! Overall, Gold’s Gym have done a good job creating a treadmill that provides many features that help you lose weight and get fitter. Customers also find it to be a much more affordable option to workout from home. However, this also means that it lacks in certain areas. To be more specific, runners may find the belt and narrow width make it a little flimsy for their needs. At first glance, the 430i model doesn’t seem like anything special. Especially since people notice the price is fairly low compared to the more high-end treadmills. 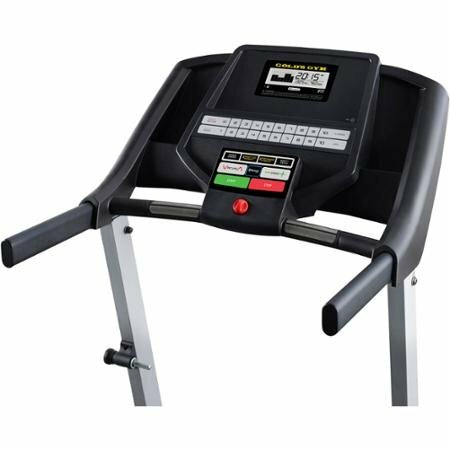 But once you start digging deep into the upgraded fitness features, and what the majority of customers are saying, you begin to get a good idea of the type of treadmill this is. Hopefully, our review has helped even further and given you a greater insight into whether the 430i treadmill is right for you.